Mall used kiosk ideas are very good business ideas for many starters. Today shared a mall used small phone repair kiosk for sale. 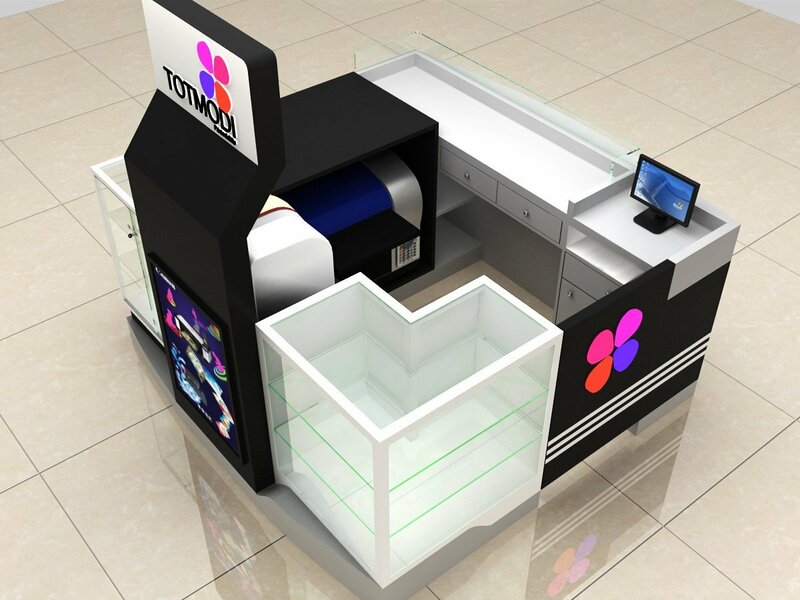 This is quite a small kiosk design used for indoor shopping mall . 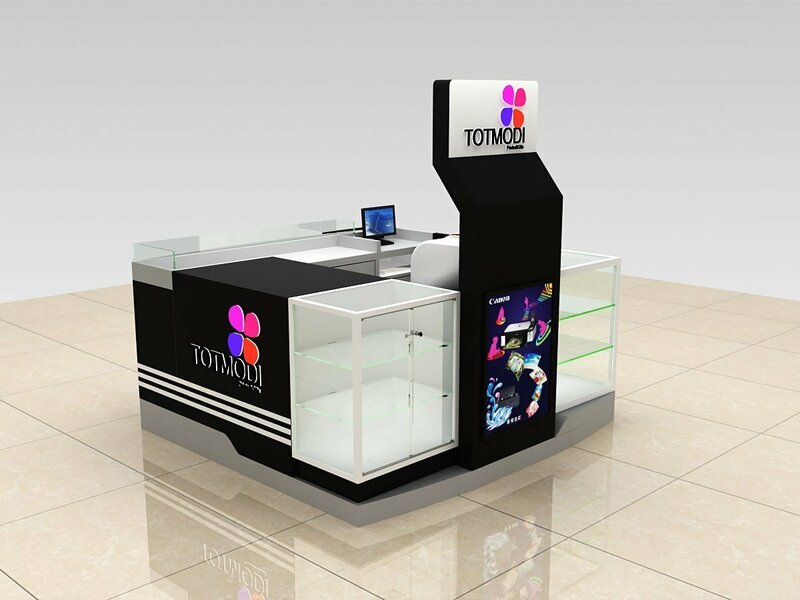 The size of the kiosk is only 2.4*2.4 meters in square shape . 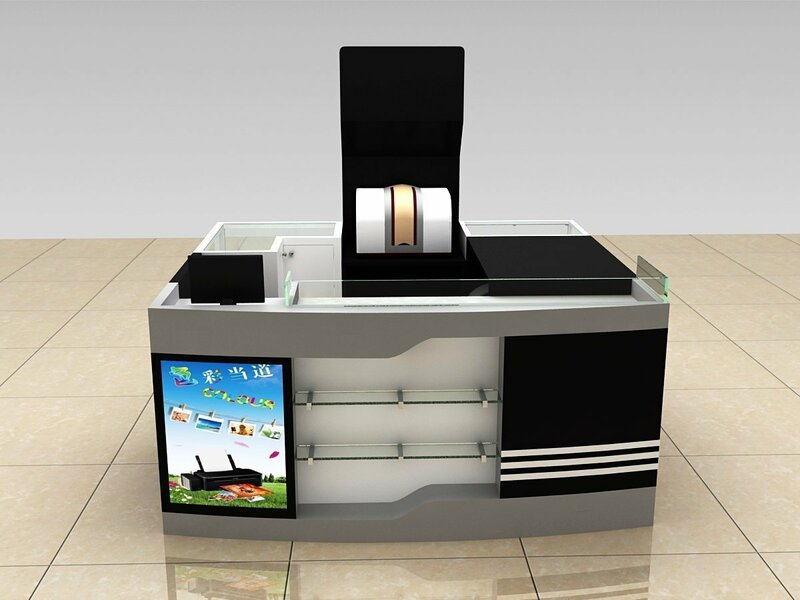 Because of the small kiosk size , This kiosk design can adapt into many smaller locations in mall. 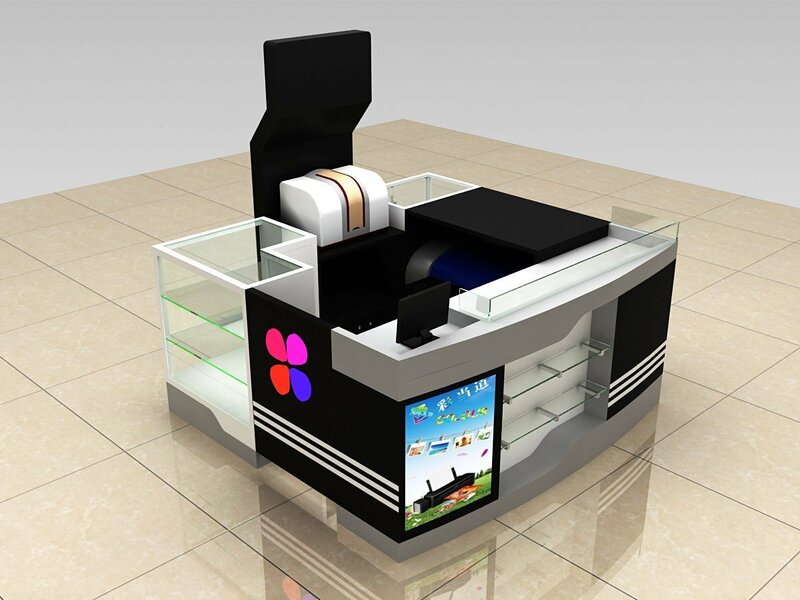 Are you looking for a small kiosk ideas for phone phone kiosk in mall. If you have budget limit or the mall do not give you a bigger size. 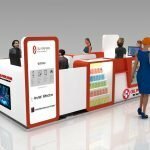 Following cell phone fix kiosk design will be best suit for you. Due to the smaller size , the cost is cheaper too ,Contact us now get a latest price for it. Actually to start a mall used cell phone repair kiosk is quite easy. Just too many people do not know the procedures . firstly you can go to the mall manager office and check if they have a space for lease and then get a phone kiosk build and installed. Then open your shop to start business. In fact , The real steps is a little big complicated than this . But this guile line will give you a hint of where to go. 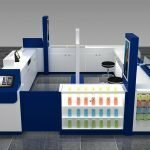 How to order this small phone repair kiosk for my shop ? Here blow are simple steps to get a totally new kiosk from Unique Kiosk. tell us which design you like , your size and requirements . pay 300USD-500USD design deposit for 3d design . discuss and modify design with designer . 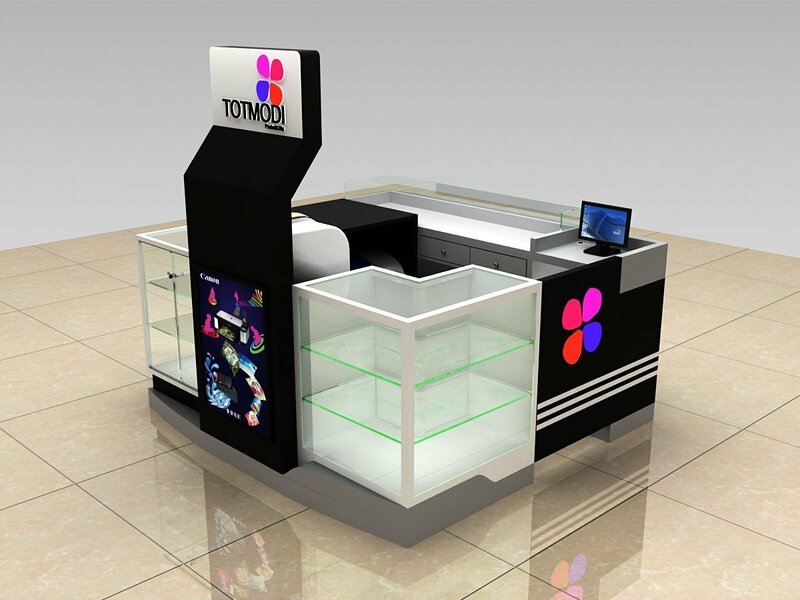 finalize design and quote kiosk price . pay 50% deposit , factory start production . take production images from time to time to clients . arrange shipment for buyer .